The Bible tells a story about moving―people moving from place to place, from good times to hard times to good times again. But more than anything, it’s a story of a God who is moved by love, and who moves―and who moves us―to make the world a better place. 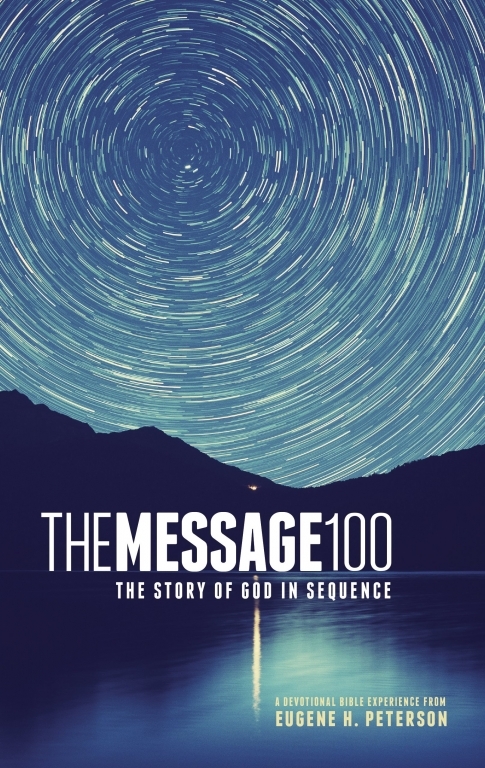 Here in The Message 100 is the whole Bible―every single, moving word of it―laid out in 100 readings and arranged to reflect the unfolding story. Move through it at your own pace, and discover how God may be moving right there on the page, right here in your life. "Peterson too has the heart of a musician, his intellectual rigor and humility saving him from the vicissitudes that have the rest of us banging tambourines as he lays out a feast on the altar." "Seems like forever since I've picked up a Bible that made the stories so fresh and new. My name is on that long list of folks who love to read The Message. What a friend this Bible has become." 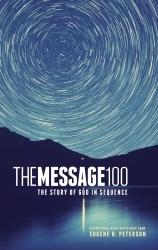 "The Message is so good it leaves me breathless."